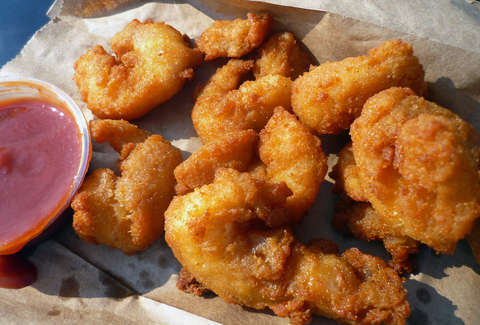 Unlike Chicago's hot dog stands and pizza parlors, our fried shrimp shacks are 1) less ubiquitous, but 2) MORE FRIED! !, which makes them just as worthy of a best-of roundup. So we did that. Here's a look at the 10 shacks that're doing this longtime city favorite justice. The Southeast side of the city has its own regional hot sauce -- a nuclear, neon orange blend dubbed "Hienie's Hot Sauce" -- that gets its name from this classic Chicago Streets and San-type eating shack (probably because it was on the cover of the first Streets and Sans Man's Eating Guide). 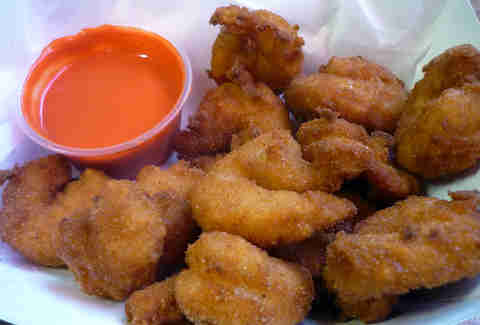 Known for its chicken and shrimp, which comes in a medium breaded batter, it's all about the sauce here. Offered for more than 60 years, the vinegar/mustard blend goes great with pretty much anything that works well with hot sauce. What you're also trying: The fried chicken wings drenched in sauce. Family-owned and operated since 1917, this 26th St shrimp and chicken shack is now serving its sixth generation of customers. One of the best in the city as far as both atmosphere and quality goes, Troha's serves medium-breaded shrimp fried to golden perfection every time, for a more than reasonable price. 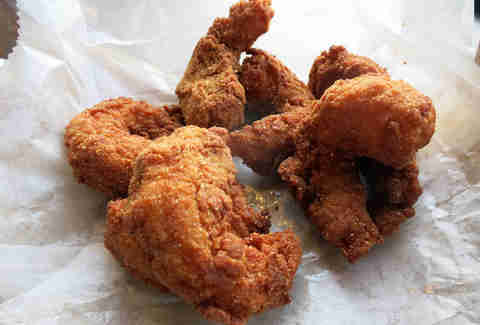 What you're also trying: The fried chicken. Owned by the same people behind 35th Street Red Hots, Redhot Ranch now has three locations, which're all favorites of the locals that live near them... including me. One of the greatest hot dog stands in the city, they also make some mean fried shrimp and fresh-cut fries. And that's about it as far as the menu goes. The potatoes are put through the fry machine multiple times a day, and the shrimp are shelled and deveined on-site. They're then coated and freshly fried when ordered. 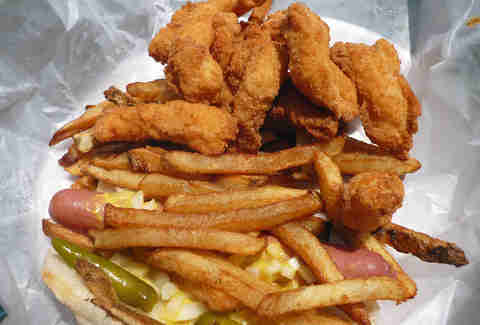 It's the classic example of an old-school Chicago hot dog stand blended together with a Chicago-style shrimp shack. What you're also trying: The hot dog. Even though Snappy's is much younger than most of the other shrimp shacks in town, it's already one of the best. Quality is the key here, as they only use shrimp from the Gulf of Mexico. It all comes supplied from Alabama, Mississippi, and Louisiana, and gets a lighter-than-norm breading, allowing the taste of the Gulf shrimp to shine. What you're also trying: The shrimp cocktail. This family-owned spot has been satisfying Chicagoans taste for crustaceans since 1948. The menu is half-fried and half-smoked; both fish and seafood. The setting is next to the Chicago River, and its signature fried shrimp are a favorite of everyone from the Blues Brothers to Anthony Bourdain. What you're also trying: The smoked shrimp. 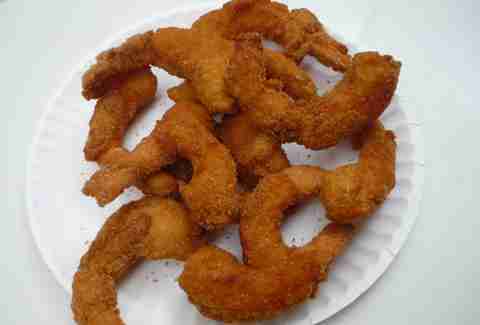 Started in 1950 by Lawrence Schweig, this is your spot for fried shrimp available 24/7. While it's grown since its humble beginnings, the quality of the product has not. 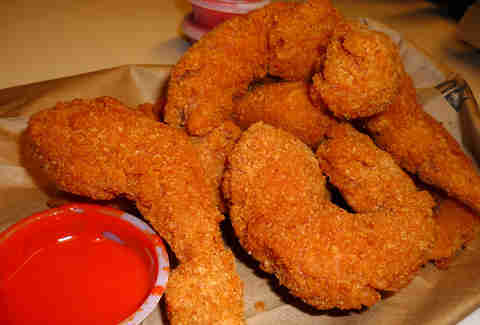 It all comes from the Gulf, they serve a traditional, thicker-style breading, and have a loyal following because of it. What you're also trying: Fried smelts. 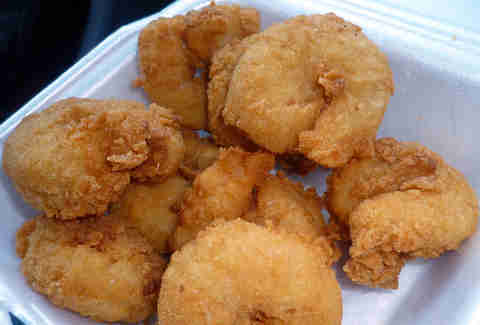 Located across the street from the Simeon Career Academy, Haire's Gulf Shrimp does fried shrimp and only fried shrimp. It's obviously all from the Gulf, and comes in two order sizes. 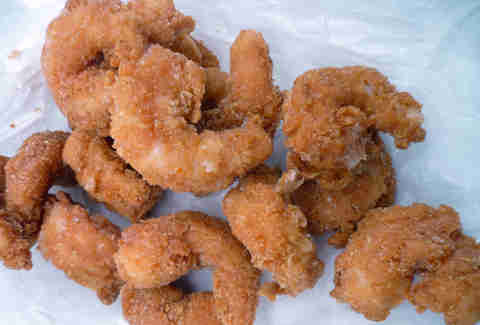 Instead of the more common twice-battered shrimp that's been seasoned, these are on the smaller side and come with a really light breading. Locals line up for orders in the afternoon and through the night. What you're also trying: More shrimp -- it's all they have. Like so many other city folk, I've been going here since my youth, and the best thing about it is that nothing has changed in its 40+ years of business. It's takeout-only at this quintessential Chicago-style shrimp shack that serves jumbo, heavily breaded shrimps with Heinies Hot Sauce on the side (the only Northside establishment I know of that has it). What you're also trying: Fried frog legs. If you like your fried shrimp Chicago-style and live on the Northwest side, then this is your place. 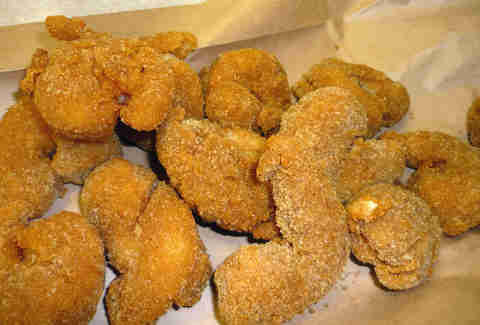 Another mostly takeout spot, Fish N' Go uses thick batter, jumbo shrimp, and everything is fried to-order. It also comes with your choice of hot or mild sauce (so... hot). What you're also trying: The fish chips. 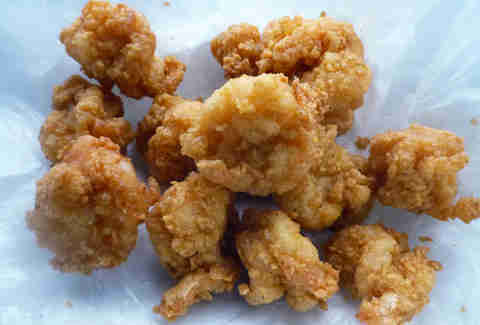 When compared to some of the other fried shrimp shacks mentioned here, this place is just a little baby. But that comes with some perks. You can actually dine in at this shack with Puerto Rican flair, it serves beer, and's open late (until 2am, Friday & Saturday). It's a pleasant vibe inside that'll transfer you to somewhere warm on the water, and while it might not be as old-school as the others, its fried shrimp comes made in that style. What you're also trying: The Shrimp Jibarito.